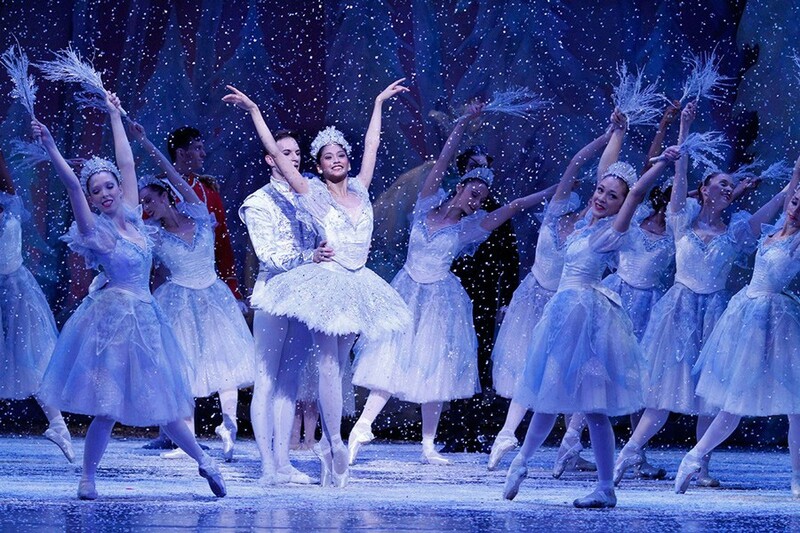 In its 60th season, the Joffrey Ballet performs its late founder's beloved adaptation of the holiday classic one last time. Robert Joffrey's The Nutcracker seems as essential a part of Chicago's holiday season as the Daley Plaza tree, Goodman's A Christmas Carol, pimped-out department store windows along State Street, and those incessant Salvation Army bell ringers. But it is a tradition that almost never was. In March 1988, just three months after his version of the classic Russian ballet made its world premiere in New York, Joffrey died of AIDS-related causes at the age of 57. His adaptation maintained the classic air of the century-old ballet, first choreographed by Lev Ivanov and Marius Petipa in 1892, but he moved the setting from a 19th-century European household to an American home in the same era, filling the stage with vintage Americana, including toys from his personal collection. 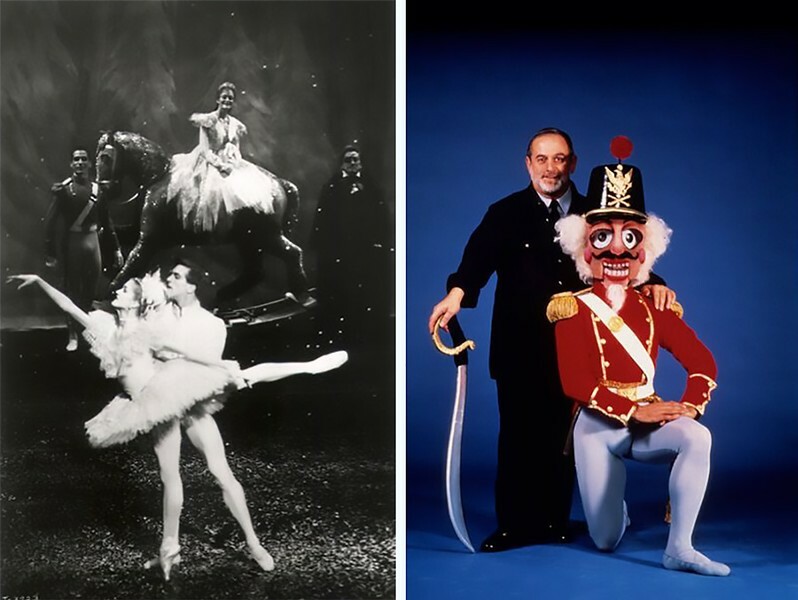 Born in Seattle on Christmas Eve 1930, Joffrey had always reveled in the magic of Christmas, and when he finally decided to retool The Nutcracker alongside Joffrey cofounder Gerald Arpino, he brought his great affection for the holidays to the stage. It's one reason Joffrey's version of the ballet has remained a seasonal cash cow for the company over the past 28 years. But this year is the last time that Joffrey's choreography will grace the Chicago stage. The company, now in its 60th season, has decided to retire the work, and next year Tony Award-winning choreographer Christopher Wheeldon will give the beloved but dusty ballet a creative overhaul. If Joffrey were alive today, it's likely a move he would support, say those who knew and worked with the choreographer. Throughout his career he was known for giving emerging artists a chance, helping to usher in acclaimed contemporary lights such as William Forsythe, Moses Pendleton, and Twyla Tharp. And despite its commitment to classical ballet training, the Joffrey's been groundbreaking on many fronts: it was the first dance company to perform at the White House, the first to appear on television, the first classical dance company to go multimedia, the first to commission a rock 'n' roll ballet, and the first U.S. ballet company to livestream video of a rehearsal on YouTube. And so the question seems to be less Why update The Nutcracker now? than What took so long? "The thing of The Nutcracker is that we have reached a crossroads where the scenery, the costumes—it's all completely falling apart, and so one way or another we have to do a massive renovation or a new production," says Ashley Wheater, Joffrey's artistic director. "And so by knowing that we have to do a new production, what can The Nutcracker look like for people today? For families today?" Wheater began dancing with the company in 1984 at the invitation of Joffrey himself, and was part of the 1987 debut performance of Joffrey's Nutcracker, playing the principal roles of Snow King and Herr Drosselmeyer, among others. While it was an exciting, creative time, a dark cloud loomed over the production. Joffrey had been diagnosed with AIDS and was suffering from an enlarged liver, asthma, and severe myositis, a degenerative muscle disease; he was barely seen during the show's run. As the company's artistic director at the time, Arpino took charge and helped with the choreography. "The only time we saw Robert Joffrey was when we performed his Nutcracker in New York for the first time and he came onstage to take a bow," Wheater says. "We hadn't seen him for a long time, and he was clearly very, very ill, and we were all very distressed at that." Joffrey died before seeing his production enter a second season, but the company kept his adaptation alive. It's remembered as innovative not only in its tweaks to the setting and narrative, but also in the dynamic choreography that makes great use of the corps de ballet. Take the “Waltz of the Flowers.” Whereas in traditional Nutcracker performances the corps acts as more a moving piece of scenery for the soloists, Joffrey and Arpino's choreography is set up to highlight dancers from the corps in minisolos or group numbers throughout the eight-minute piece. Moments like these that allow many dancers to shine are rare in a company with only three or four productions per season outside of The Nutcracker. 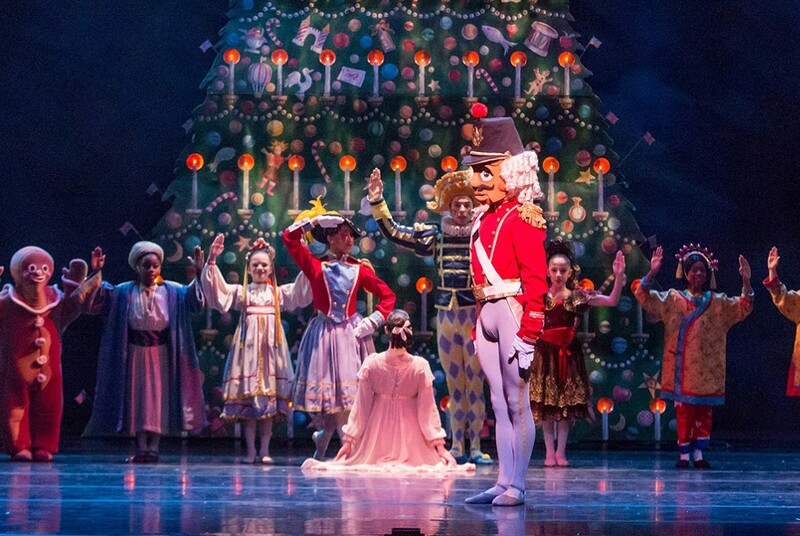 So as Joffrey's Nutcracker goes, so too goes its function as a kind of farm team. With its large number of performances and rotating casts, Joffrey's work has been an annual chance for up-and-comers to show what they're made of and, perhaps, be chosen for higher-profile opportunities throughout the rest of the season. Edson Barbosa, who joined the company last year, remembers a grueling two weeks where he learned every male role in The Nutcracker. He took a certain glee this year watching the newbies go through the same process now that he’s been properly initiated. Between Wheater's experience with Joffrey and that of current ballet master and former company member Suzanne Lopez, who started performing Joffrey's Nutcracker in 1990, the influence of Joffrey and Arpino, who died in 2008, has been carried on to new generations. The Nutcracker's generational connection is personal for Lopez: Her ten-year-old daughter will dance in the party scene during this year's run. Lopez was one of a number of alums the company asked to be involved onstage in the historic final run, but she opted to remain behind the scenes, letting her daughter take the spotlight instead. "It's even better to see my daughter perform in this Nutcracker that I know like the back of my hand," says Lopez, who will lead this year's children's rehersals. "This is a much bigger deal than the smaller productions I had done as a kid, and it's interesting to see them sort of realize that as the process goes on." Reminiscing about past performances, many dancers laughed looking back on gaffes. 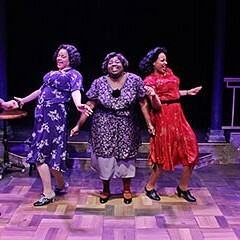 A touring production in Arkansas, for instance, ended early because of a power outage, and the dancers, ever professionals, quietly tiptoed offstage waiting for the lights to return. A costume malfunction during the Arabian number, a duet from the second act’s “divertissement,” resulted in a stage covered with beads when a thread broke, letting loose all the flair sewn onto the costume. It was remedied with an impromptu Drosselmeyer solo in front of the curtain that was met with thunderous applause. Christine Rocas, a current dancer with the company, recalled being so elated after her first time performing as the Sugar Plum Fairy that she shrieked with glee backstage—loud enough for the audience to hear—and in her excitement spilled water all over her costume. Wheater says he'll never forget the summer of 1987 he spent with the company in Iowa City (the University of Iowa commissioned the piece) going through the ups and downs of learning what was then a brand-new production. Behind the scenes at the company's headquarters at State and Randolph, there's already palpable nostalgia for Joffrey's Nutcracker as the members ramp up to the final run beginning in early December. But there's also eagerness to create something new to keep the company current and challenge the dancers. "Having the same Nutcracker every year is nice because it's comforting, but there's a chance you go on autopilot because you've done it so many times, you're too comfortable," Rocas says. The prospect of "a new Nutcracker is really exciting. We're all going to be on our toes a little more." 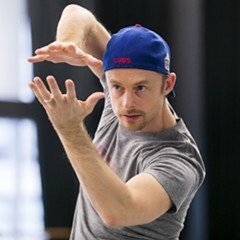 Wheeldon has set next year's production in Chicago around the time of the 1893 World's Columbian Exposition, and is choreographing it with the company's current dancers in mind. He's no stranger to working with them: Wheeldon put his own twist on the company's Swan Lake last year and presented an original work, Fool's Paradise, as part of this season's opener, "Millennials." Beyond the final performance of Joffrey's Nutcracker, the company will cap off the season with a tribute to its namesake. Joffrey had always wanted his company to perform Frederick Ashton's version of Cinderella, according to Wheater. The 60th season will end by honoring that wish. And the 61st season will be all about moving forward. The ballet company built its Tolstoy adaptation from the ground up. Can Ashley Wheater sustain the Joffrey’s success? 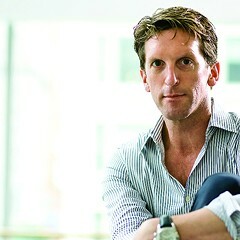 The choreographer celebrates ten years as artistic director of the dance company. What might the next decade have in store? Christopher Wheeldon's update of the classic puts class consciousness at the forefront, to illuminating effect.